This building may have more historical significance than there appears, and also could be one of the oldest from what remains of Wick Borough. As people pass by today it may be hard to imagine what an important part it played when the development of Wick Borough was taking place. 300-400 people worked across the tracks in the Wick Pottery and the Kittanning Plate Glass Company. This will become the area of the new YMCA and the area that continue north to Ewing Street. 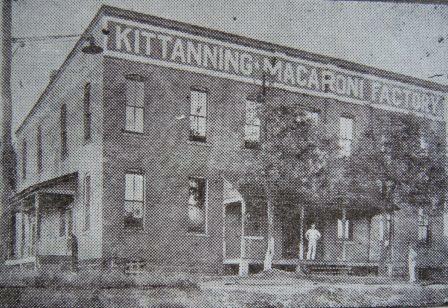 In the 1919 Polk Directory Daniel T. Fridena is listed as the manager of the Kittanning Macaroni Factory which was then 1190 N. Grant Ave. and also listed it as his residence. Several other members of this family are listed as living there as well. I’ve traced some of this family to the Indiana, PA area, and at a later point to state of Nevada. Even not long ago remnants of the furnaces were located in the basement. Rayburn Township school in lower left. In the lot map of Wick/Hileman/Wick from 1900, this building is shown as the School House. 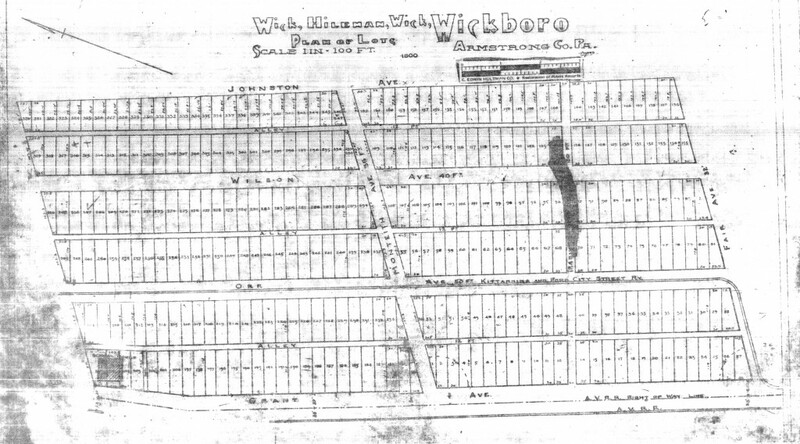 The area of Wick Borough was Rayburn Township before becoming it’s own borough. There are articles that this was used as Wick Borough’s City Hall till 1914 when Wick Borough merged with Kittanning Borough. 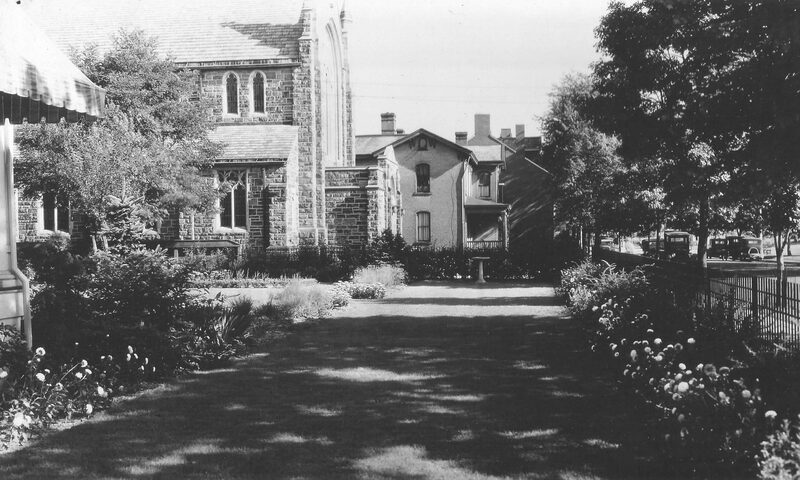 In the 1900 court application for Wick Borough, it stated that elections will be held at the brick school. 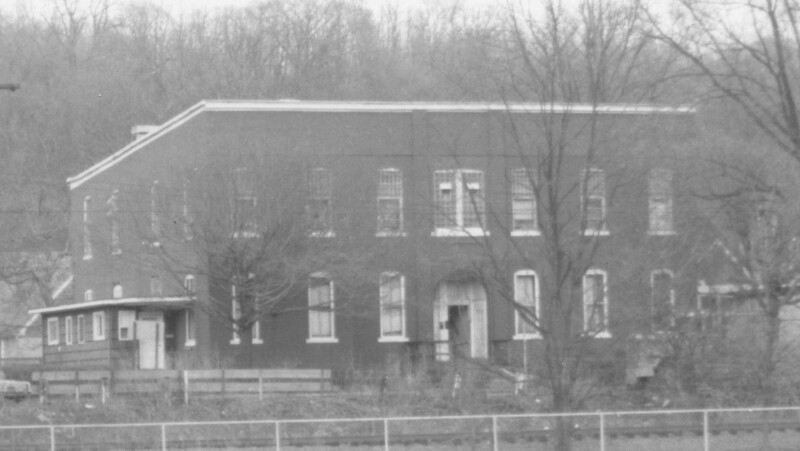 No doubt before the turn of the century this would have been a state-of-the-art building when students were evolving from a one-room school buildings. 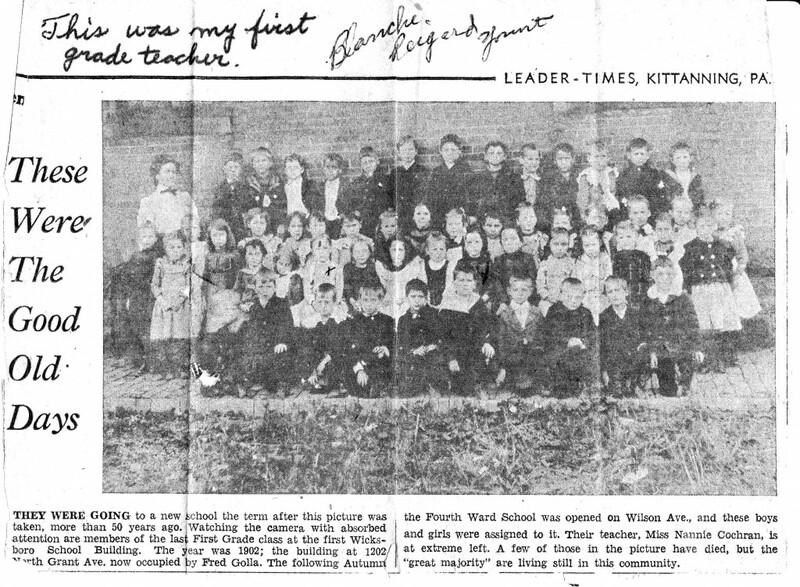 Here are some early students before moving to Fourth Ward School. Blanche Riegard Yount is marked with an x. Currently used as apartments, it is commonly called by locals as the “Macaroni Factory”.